which God prepared before that we would walk in them. 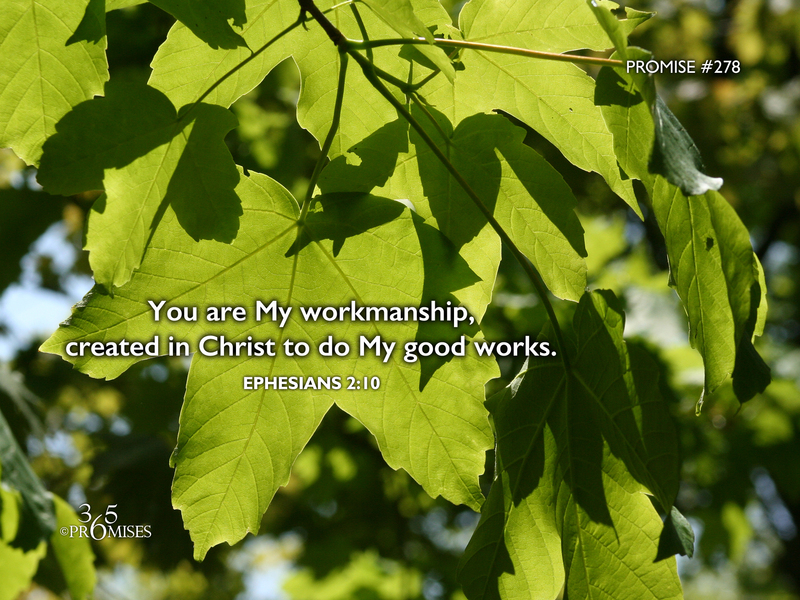 Your life is the workmanship of a loving Father that planned your existence before the foundation of the world. Just as an architect designs a building in his mind before he ever puts it on paper, so God planned you! And in His amazing plan, He created us to be in His beloved Son, Jesus Christ so that we would be partakers of the same good works that Jesus does. What an amazing promise! When you look in the mirror, do you see yourself as God's precious work of art or do you see something else? God wants you to be comfortable with the knowledge that you are fearfully and wonderfully made, created in the image of God and ordained to do the good works that He prepared for you in advance. May our God and Father give us revelation today that our life has a divine purpose that was birthed in His heart before the creation of the world. May we simply agree with God's plan and continue to do the good works that we are called to do in Jesus Christ our Lord.